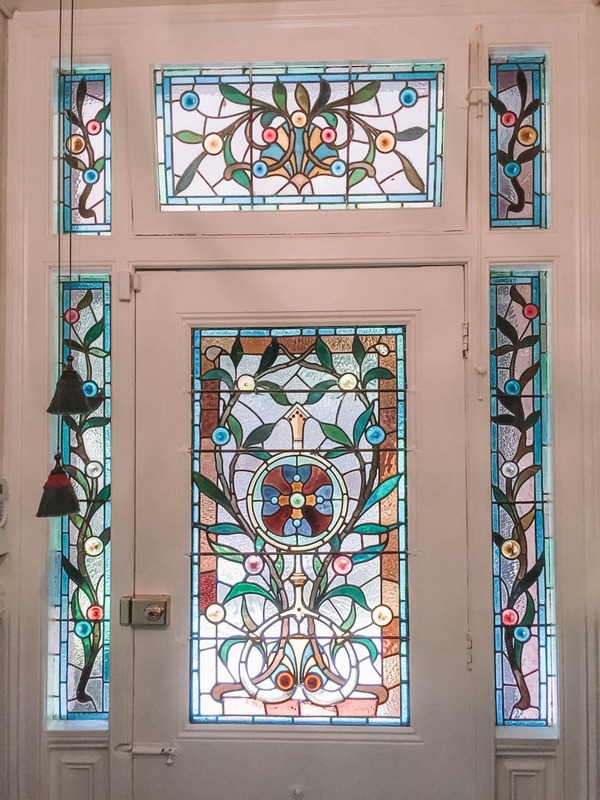 If made well, stained glass or leadlight can last for centuries, however when positioned in doors or opening windows or near the coast they can deteriorate, the lead can oxidise and become compromised, leadlight cement may start to crack and cause the window to leak in storms. Windows and doors built early last century such as Federation or Art Deco windows will need to be restored around now if lead is showing signs of bowing or if the window has become rattly. We have years of experience in restoring these windows and doors, the panels are removed by a licensed glazier and temporary glazing is installed. Rubbings are taken of the panels to record the design and sizes of lead used. The pieces of glass are carefully removed from the old lead, then soaked to clean the years of grime, paint and the old cement. Any broken pieces are assessed and replaced with as close a match as possible, we have a store of old heritage glass which can be used or if an exact match isn’t found then a new glass will be used which shows the closest match. There are various new glasses which are specifically made as reproductions of the old glass previously used. It is important to keep faithful to the original colours and type of glass in the restoration to keep the end result as authentic as possible. Please include sizes and some description of windows/damage and whether the window is ground floor or higher.